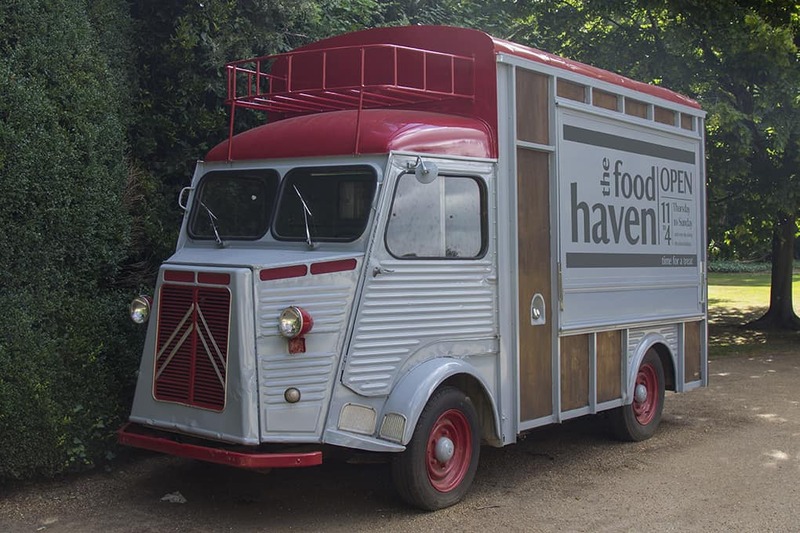 Before I started working at Anglesey Abbey the team there had sourced a 1960s French horse box and had it refurbished and transformed into a catering van. 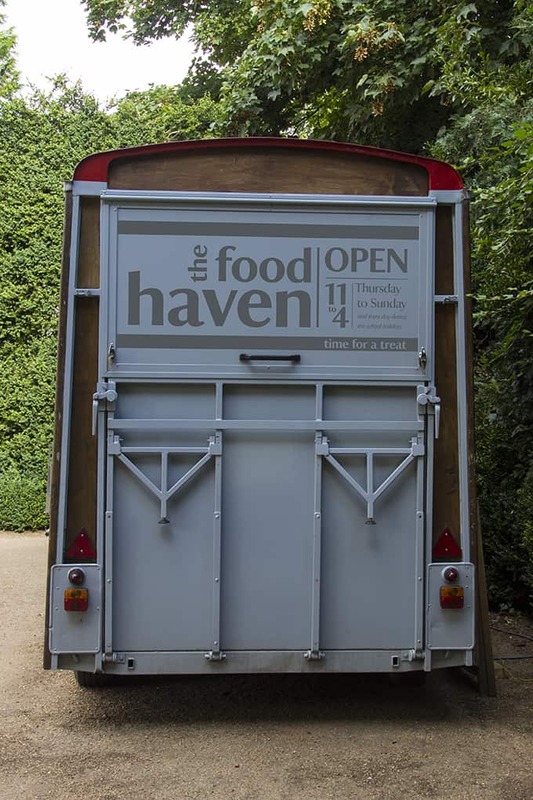 The reason for the mobile catering outlet being a horse box is connected to Lord Fairhaven (the man who owned the property until his death in 1966 and who donated Anglesey Abbey to the National Trust). Lord Fairhaven was an avid horse racing fan. He had his own racehorses and they were often raced down the road at the racecourse in Newmarket. 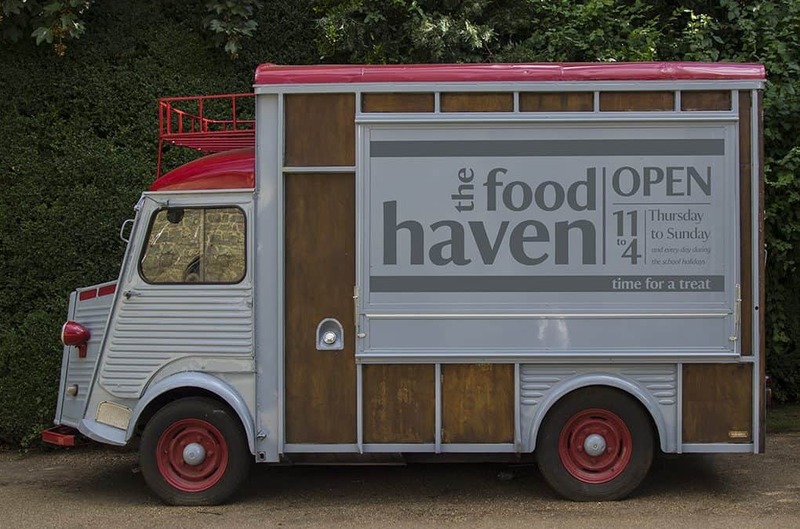 Taking inspiration from 1960s graphics, horse racing ephemera (and of course, the National Trust branding) I then designed the graphics that went on the side and the back of the van, so that visitors know what the van is, (and therefore why it is parked in the grounds)… and most importantly when it will be open for business.